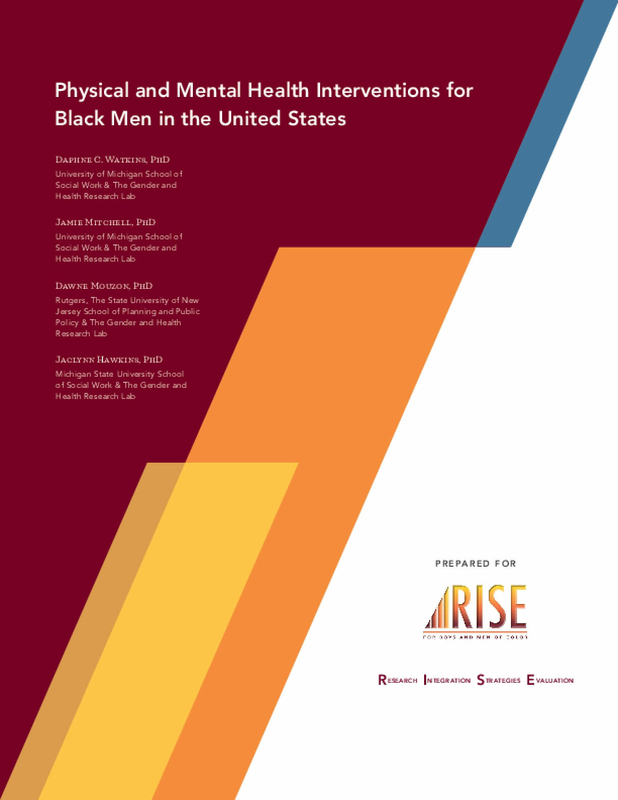 The authors provide a scan of the academic and gray literature on the intersection of the criminal justice, mental health, and education systems, and how it influences the lives of at-risk racial/ethnic minority youth (boys and young men of color). As well, the authors identify interventions that aim to improve outcomes for racial/ethnic minority at-risk youth at the intersection of these three structural systems. 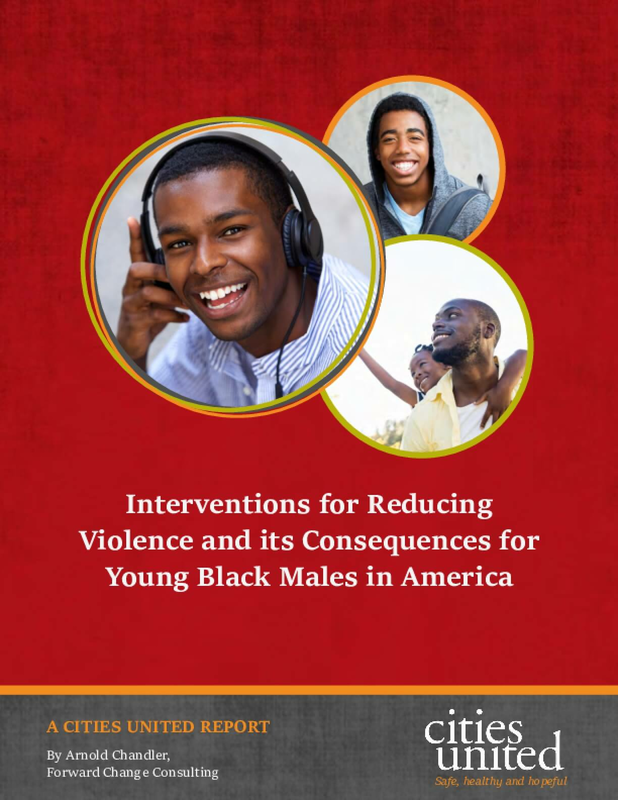 Building on Cities United 2016 report: Violence Trends, Patterns and Consequences for Black Males in America: A Call to Action, this report presents the results of an extensive scan of the research literature relating to violence prevention interventions. It identifies programs and practices that have proven effecting in reducing violence and violent deaths among African American males. It illustrates that evidence-based interventions exist that can be implemented in our families, schools, places of employment, hospitals and communities. 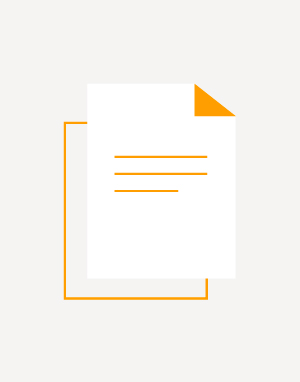 These interventions can prevent violence rather than simply meting out punishment in its wake. In its conclusion, the report offers a summary of its findings and recommendations to help inform local violence prevention efforts across the nation. A growing body of research reveals that lesbian, gay, bisexual, transgender, and queer (LGBTQ) people experience a disproportionate amount of mental health challenges when compared with those who are heterosexual and cisgender. LGBTQ people, in general, have a higher prevalence of suicidal thoughts, attempts, and completions (Hatzenbuehler, 2011); depression and anxiety (Cochran, Sullivan, & Mays, 2003), and substance use and abuse (Marshal et al., 2008). 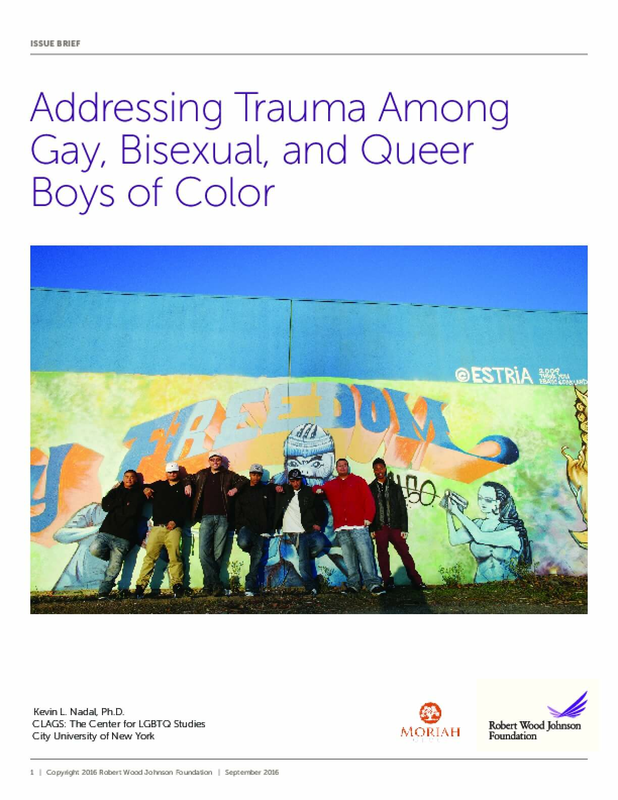 LGBTQ people are more likely than heterosexual or cisgender people to have histories of childhood sexual abuse (Balsam, Lehavot, Beadnell, & Circo, 2010) and are more likely to be homeless (Rosario, Schrimshaw, & Hunter, 2012). This is true of young LGBTQ people as well. Studies find that young adults under 24 years of age who identify as LGBTQ, have a higher likelihood of depression and suicide than heterosexual youth (Marshal et al., 2013), are more likely to engage in self-harming behaviors (Jiang et al., 2010), and have increased rates of being a victim of bullying (Berlan, Corliss, Field, Goodman, & Austin, 2010) than their heterosexual counterparts. 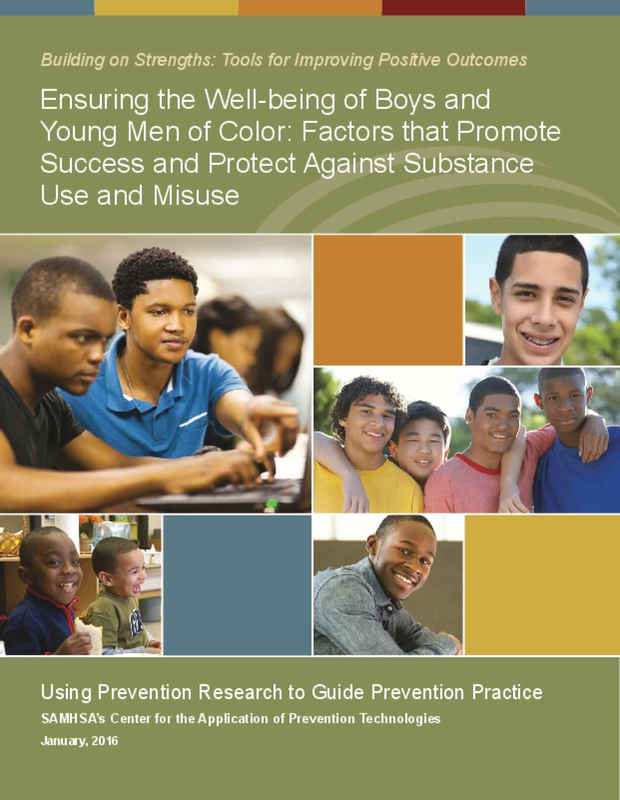 Building on past and current work at the state and local level, SAMHSA's Center for the Application of Prevention Technologies has developed this tool to support prevention practitioners in identifying those factors that protect against substance abuse and misuse among boys and young men of color, as well as mitigate adverse experiences that affect this group, such as racial and ethnic discrimination. By understanding these factors, practitioners will be better positioned to assess, plan for, and select interventions designed to address them. This report provides detailed findings about what boys and young men of color need in order to help them overcome the challenges and obstacles they face in their day-to-day lives. 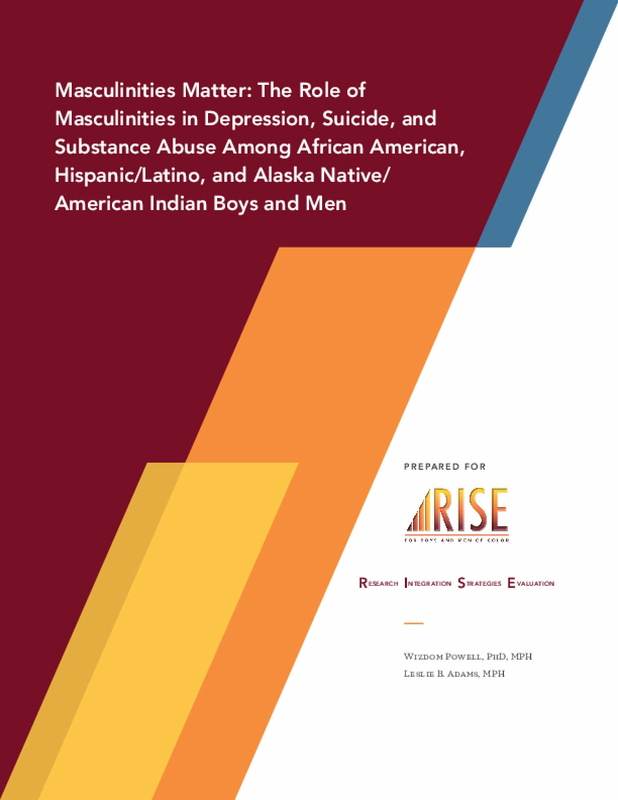 The report highlights the voices of young men in Oakland, New York City, Baltimore, Atlanta, New Orleans and Detroit as they opened up and shared what is on their minds and in their hearts. Among other things, the report focuses on four main areas: Values; Success and Optimal Health; Competition/Winning/Skills and Creative Talents; and Existing Resources for African-American Males.